The first day of fall has come and gone, but all things pumpkin flavored are here for the season! 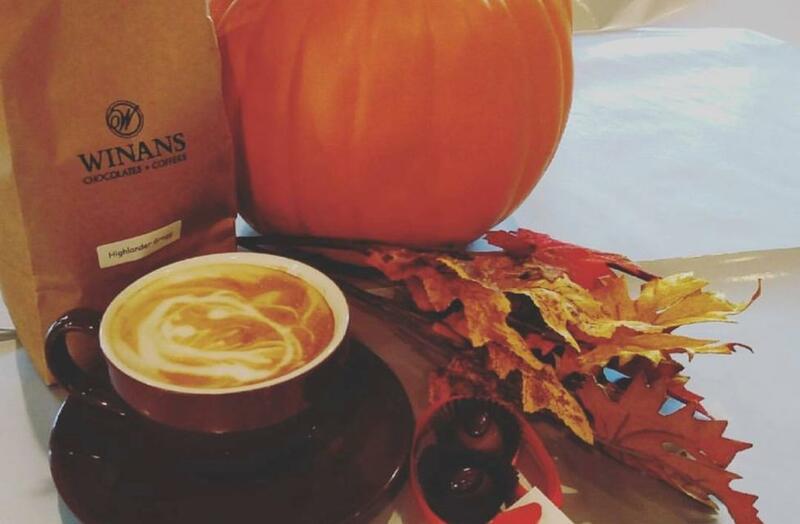 Pumpkin is the official flavor of fall, and our local businesses are coming up with new creations that incorporate this delicious taste. 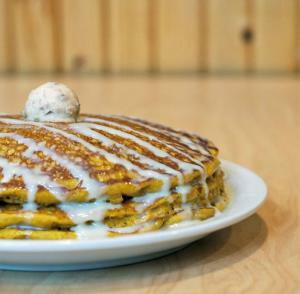 Whether you love PSL’s, the traditional pumpkin pie, or a stack of pumpkin pancakes, Dublin has everything you need to satisfy your fall craving! 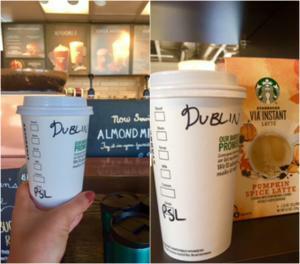 Starbucks- The famous Pumpkin Spice Latte is back at all Starbucks locations around Dublin. You won’t want to miss this sweet pick-me-up on a chilly fall day. Pick up one on your way to work or take a box home for an instant PSL! 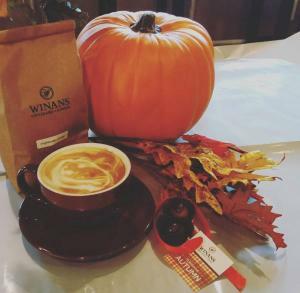 Winans Chocolates & Coffees- Pick up a pumpkin spice latte & one of Winans caramel apples to enjoy in their quaint coffee & chocolate shop! 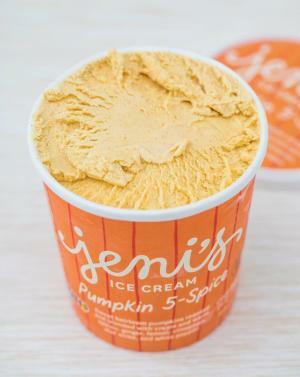 Jeni’s Splendid Ice Cream- As always, you can expect delicious ice creams with unique and natural flavors from Jeni&apos;s. This fall, enjoy a scoop of their Pumpkin 5-spice! Their unique blend of dimensional spices paired with roasted, heirloom buttercup pumpkins, will give you the ultimate taste of the season. Graeter’s Ice Cream- This pumpkin ice cream is old fashioned like grandma used to make it, and it’s hard to miss in bright orange packaging! The essence of autumn is ready for you to indulge. Zest Juice Co.- A healthy alternative to pumpkin is a Pumpkin Pie smoothie from Zest. It fulfills the pumpkin craving without all of the sugar and additives. Kilwins- Pumpkin pie and ice cream. Two things we truly believe belong together. 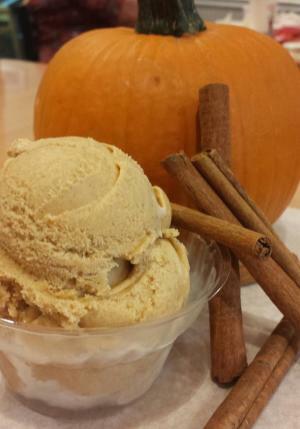 Try this seasonal flavor at Kilwins Bridge Park location! 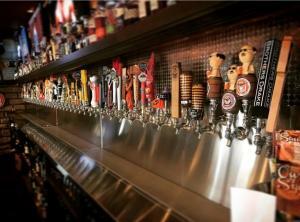 Pint Room- Get festive during your night out of the house with a pumpkin brew from Pint Room. Try the Shipyard Pumpkinhead Ale for hints of cinnamon and nutmeg for a light, crisp swig. Mellow Mushroom- Nothing goes better with pizza than a nice brew, and the seasonal Pumpkin Ale will have you feeling cozy for fall. 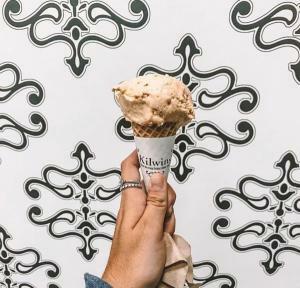 Johnson&apos;s Real Ice Cream- Made right here in Central Ohio, Johnson&apos;s Real Ice Cream has brought back their Pumpkin and Apple Strudel flavors for Fall. 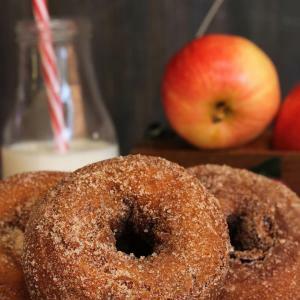 The Donut Experiment- Grab a Pumpkin Spice Iced Coffee and pair it with some more flavors of the season like the Donut Experiment&apos;s Apple Cinnamon Donut! 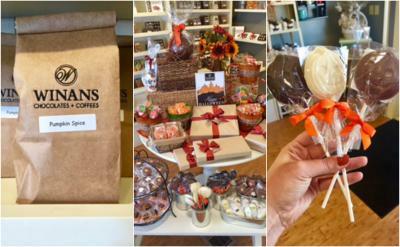 Winans Chocolates & Coffees- This local sweet shop is ready for fall with their autumn gift table up, pumpkin spiced coffees in and dark chocolate “pumpkin” suckers available. Get some of these goodies before they’re gone! Der Dutchman- This famous bakery is known for their holiday pies, and the pumpkin pie is one to stop traffic for. Stop in October – December 31st to pick-up one of these delicious sweets. Don’t forget a batch of pumpkin whoopie pies to snack on during the drive home! The Morgan House- Explore more than 18,000 square feet of the Morgan House and some sweet treats along the way! 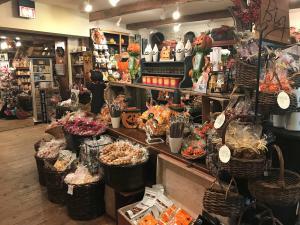 From prepared foods and specialty coffees to sweet treats, you&apos;ll find your favorite fall flavors at this hidden gem. Sunny Street Café- Pumpkin Spice Pancakes and Pumpkin Crumb Muffins are back at Sunny Street Café. You won’t want to miss these yummy breakfast treats! Available for a limited time only!